For the past 9 years of operation of The Free Medical Clinic of the Ozarks (FMCO) I have been continually thankful for God’s provision, and the many ways He has demonstrated He is always on time with just the right amount! In the beginning when the founders and board members of the clinic were considering the extent of the monthly expenditures we were praying for God’s direction in supplying our needs. Because all who served the clinic were volunteers, including the doctors and nurses, our overhead costs were nowhere near what a private clinic might be. Nevertheless there were expenses for monthly rent, utilities, insurance, equipment needs and office supplies in addition to the cost of the medications which were to be at no cost to the patients. Initially we had no idea whether we might be involved in fund-raising which most if not all of the non-profit organizations in Branson were doing. Several local churches pledged monthly support and a few individuals who understood the magnitude of the ministry gave very liberal amounts. In previous posts I have testified to God’s on-time provisions which have included Skaggs Community Hospital providing us with our present beautiful and spacious clinic in 2012 at no cost, and the ongoing use of the Patient Assistance Program (PAP) which provides medicines for almost all of our patients at no cost to them or us! The company which provides our weekly maintenance is Brokate Janitorial from Springfield, Missouri, and the owner Jeremy Brokate came to me in mid-2013 saying they would love to provide their services at no cost! There have been other instances in which God sent just the right person at just the right time to supply just what we needed. One regular individual financial contributor from Sacramento, California has been sending a generous monthly check in honor of her father who died in 2012. He had been an integral part of the start of the clinic, and she has been contributing since 2013 without missing a month in her support of FMCO. About a month ago a local optometrist was in my office discussing the possibility of his volunteering his time and skills to the ministry of FMCO, and we talked about how we might secure the much-needed but costly equipment for eye exams. There was discussion also about provision of eyeglasses for those needing them and where we might obtain good but low-cost eyewear. 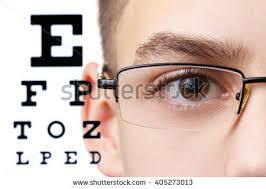 He said the cost for used eye exam equipment might be in the range of 5,000 to 10,000 dollars. My words to him were I was not anxious about such a high cost, because we have learned though experience God has always provided for our needs, and His provision arrived before we knew the need. He shook his head in agreement, and we both prayed God would make it clear how we would proceed. While we were talking the monthly envelope from our Sacramento donor containing what I assumed to be her regular contribution was lying in my desk drawer. It had arrived the day before, and I intended to deposit it later in the day after our visit. When my optometrist friend left I removed the envelope from my desk and while opening it noticed there was also an accompanying letter. There had not been a letter with the previous checks. I thought this person might be notifying us she was no longer able to continue the support, so I took out the letter to read before looking at the check. The typed letter had some introductory salutations which were personal, and then she stated she had recently sold some family property in Arkansas and wanted to donate part of the proceeds of that sale. There was a following statement,”I think Mom and Dad would be pleased.” The check was for $10,000 which is the largest single contribution ever given to FMCO! I bowed my head in gratitude to thank our Heavenly Father who had once again demonstrated His love and on-time provision for the ministry He had begun nine years ago and had been supplying all of our needs according to His riches in Christ Jesus (Phil. 4:19). I couldn’t wait to tell my optometrist friend about the amount of the gift. What a beautiful story–brings tears to my eyes. Thanks for sharing..